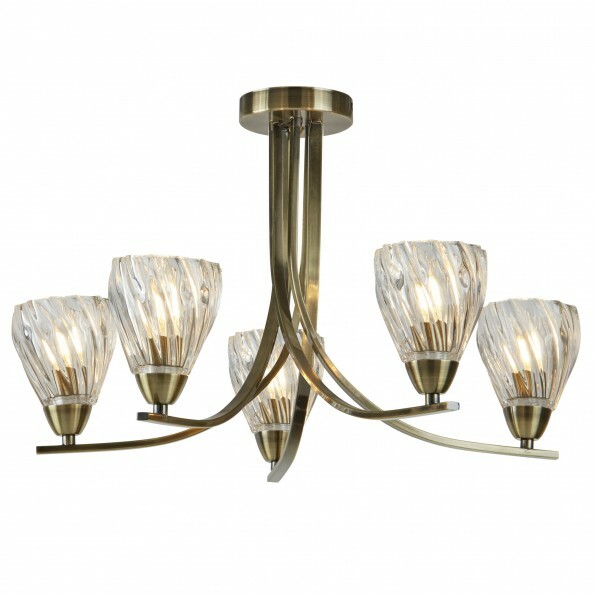 This classic antique brass design will suit a range of decors and is ideal for any traditional home. 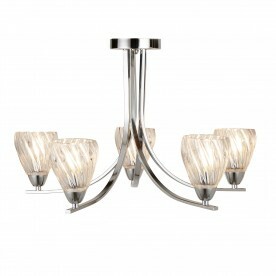 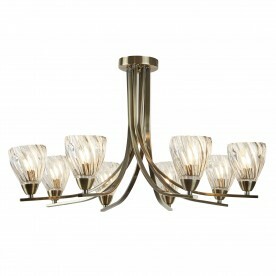 The 5 arms are curved and each twisted glass light sits gracefully on the charming antique brass frame. 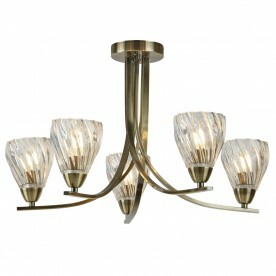 Attach to the ceiling of your dining room and impress any dinner party guests.